Temperatures are starting to rise which means mosquitoes are starting to bite. 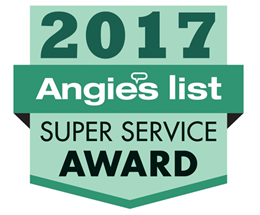 It may only be February, but mosquitoes are certainly starting to become active in parts of the United States which means mosquito control in winter is more important than ever. In areas where temperatures rise above 50 degrees and stay that way for 7 days or more, the mosquito bloom begins. Louisiana is already seeing an increase in the population of these disease-spreading pests. It’s that time of year again when our temperatures warm up and mosquitoes populate across southeast Louisiana. With temperatures in the 70’s, this week’s weather sparked the growth of mosquitoes in East Baton Rouge Parish but they aren’t everywhere. Even when the weather is cold in the southern state, it doesn’t mean that mosquitoes are killed off. They will survive very cold weather. 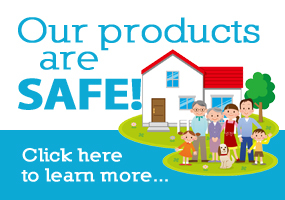 However, just because they are not as active, doesn’t mean you shouldn’t be protecting yourself. The following article shares some tips on how you can keep mosquitoes away. Most mosquito bites will get better within a few hours or overnight, but there are cases when these become swollen or infected, or lead to a severe allergic reaction, especially among children. Itching the bitten spot often draws blood, which can cause contamination. Here are some ways for you and your kids to remain bite-free this winter. If you want to stay ahead of the game then you can protect your family with our mosquito and tick control 2019 pre-season specials. We are offering discounts on seasonal plans. 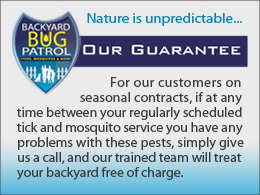 Call us at 800 NO TICKS (703)0621-7116 or send us an email at information@backyardbugpatrol.com to find out more.